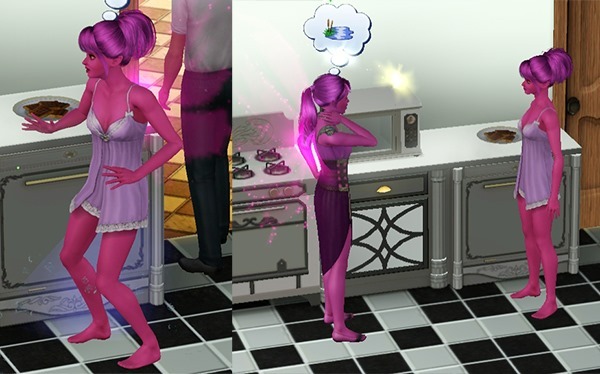 Magenta finished brewing her concoction and surprised Elizabeth in the kitchen. Moments later, Elizabeth’s wings disappeared and she felt her fairy power draining away. She was a plain old human. Elizabeth wasn’t sure what to make of this – after all, she’d been a fairy her entire life. 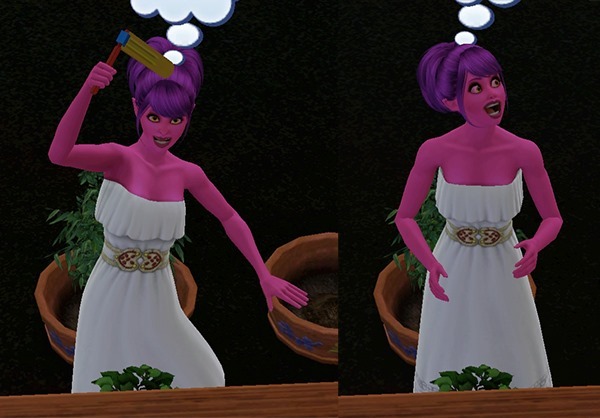 Magenta was happy, as all she’d ever wanted was a ‘normal’ family. Elizabeth got used to being mortal – and celebrated her first birthday in what seemed like eons. 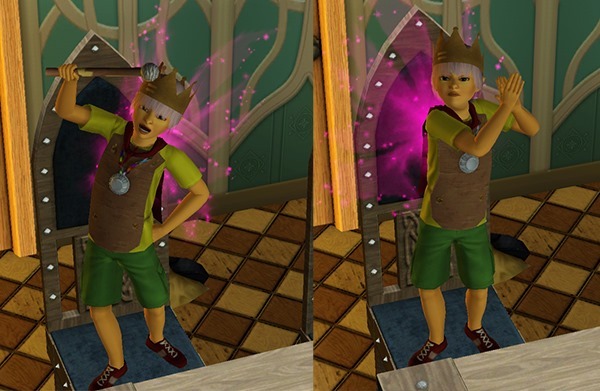 Given that the boarding school bus had never picked him up, Charles took to entertaining himself ruling over an imaginary kingdom. He considered himself to be a fair and kind king. Conveniently none of his subjects were available for questioning. As the days passed, Eric grew up and was sent off to boarding school, while Charles continued to spend his days at home. 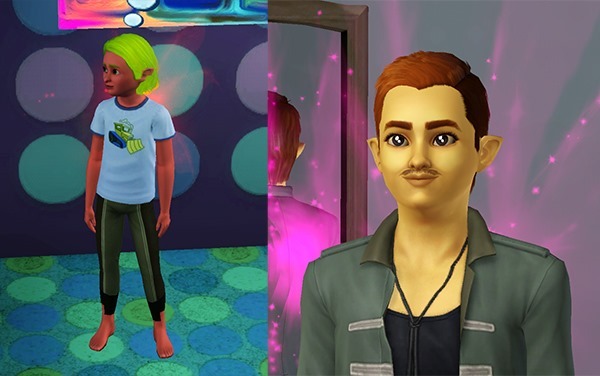 When he became a teenager, he decided a makeover was in order. 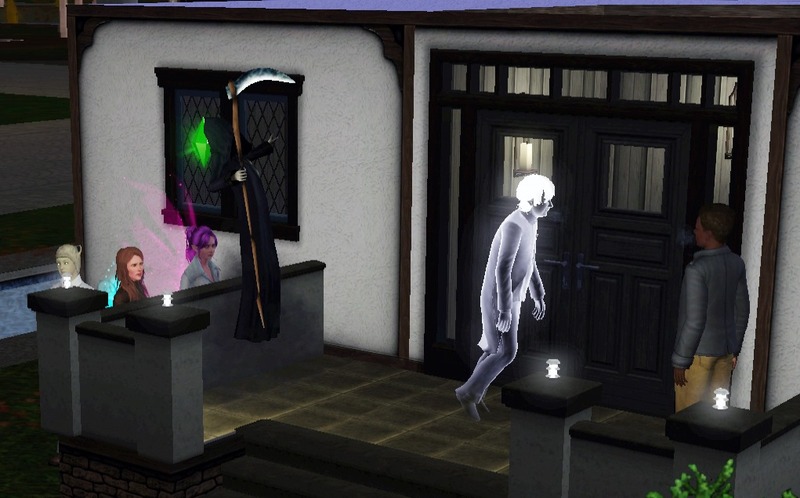 Alexandra found herself at another party where a guest expired during the festivities. Her life of celebrity parties was turning out to be not quite as glamorous as she’d imagined.